Lock in a great price for Rollestone Manor – rated 9.4 by recent guests! Lovely old house, staff very friendly. Breakfast was freshly cooked and delicious! Very welcoming the room was cosy, comfy and a good size. Bathroom in our room was on the small size but in other was was very big. Food was very nice, fresh and plenty of it. Very happy with our whole stay. After checking in, we ordered drinks and went out into the garden to relax. Staff came out and got our dinner order and then came back out to get us when dinner was ready. The food was absolutely fabulous. We felt very spoiled and taken care of for the whole stay. Loved the food and the confort of the room. Although it is a B&B it’s restaurant deserves at least two Michelin’s forks. For us, this was the perfect period property to stay in. The room was just what we had hoped for and the staff were friendly and attentive. A big bonus was that we also enjoyed the evening meals. We loved the proximity to Stonehenge. It was also convenient that there was a restaurant on site. 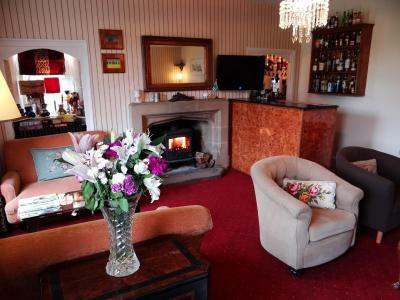 Nice, quiet and large room with comfortable king size bed in a very nice old manor house. Close proximity to Stonehenge. Good in-house restaurant. A beautiful historic B&B! The staff was great, the room clean and comfortable. The common room was a very comfortable place to sit and relax. The onsite restaurant has a great menu and we enjoyed the dinner we had there. Excellent location from which to explore Stonehenge. Rollestone Manor This rating is a reflection of how the property compares to the industry standard when it comes to price, facilities and services available. It's based on a self-evaluation by the property. Use this rating to help choose your stay! Rollestone Manor is a beautiful, award-winning Grade II listed historic house, located just minutes from the World Heritage Site of Stonehenge. Bath is less than an hour's drive away. Free WiFi is available in the main areas of the house and the rooms. A TV with a DVD player and an iPod/iPad dock are included in each individually decorated room, which also has a private bathroom with a power shower. 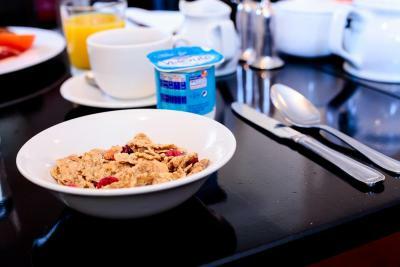 From the kitchen, a freshly cooked breakfast is provided each morning using local produce where possible, and a good variety of cereals, yogurts and fruit are on offer. This property also has one of the top-rated locations in Shrewton! Guests are happier about it compared to other properties in the area. This property is also rated for the best value in Shrewton! Guests are getting more for their money when compared to other properties in this city. When would you like to stay at Rollestone Manor? This room also has a digital TV and an iPod/iPad dock. This room has digital TV channels and an iPod/iPad dock. This beautiful room has a king-size four-poster bed, a roll-top bath, digital TV channels and an iPod/iPad dock. 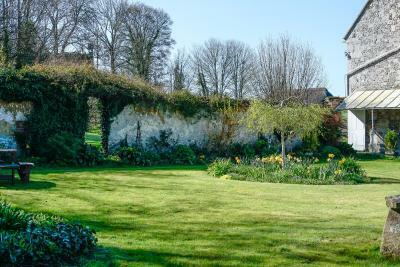 Light, spacious room with views of garden and meadow, digital TV channels and iPod/iPad dock. Located on the ground floor, this bright room has views of the garden, meadow, and St Andrew's Church. It has a large private bathroom and a king size bed. Located on the first floor, this lovely bright room is to the front of the house. It includes an en suite shower room and a king-size bed. Character, history and romance! Comfortable, affordable & relaxed! Steeped in history, and ideal location for visiting sights in Wiltshire. Rollestone Manor is surrounded by grass and fields, and a short walk from St Andrews Church - a beautiful Church, opened every day for visitors. House Rules Rollestone Manor takes special requests – add in the next step! Rollestone Manor accepts these cards and reserves the right to temporarily hold an amount prior to arrival. Kindly note the premises are locked at 11pm for security. If you have any questions regarding this, please use the Special Requests box when booking, or contact the property directly using the contact details provided in your confirmation. Please note that evening meals are served between 18:30 and 20:30. Booking is recommended. 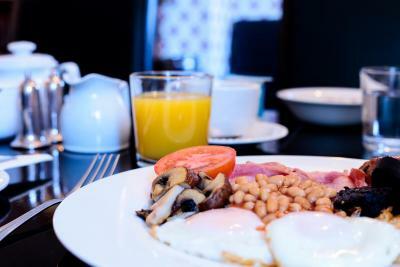 Breakfast is served from 07:45 until 09:30 Monday - Friday and 08:00 until 09:30 Saturday and Sunday's. Bathrobes would have been nice. Comfortable king size bed. Big bedroom, large bathroom , good shower, proper bath sheets. Nice breakfast. Lovely old house. My ONLY complaint is that the bed could be more comfortable - was too hard. There was nothing we encountered which gives rise to any negative comment. This is a small and quite residence which offers great meals, a freshly cooked breakfast and comfortable rooms. We wanted a peaceful and small hotel on the Wiltshire / Hampshire border and Rollestone Manor was perfect from this aspect and did not disappoint. We were made to feel very welcome and the staff were really friendly. To finish off the evening meal, my husband had the “mini pudding” selection – he thoroughly enjoyed the experience !! We experienced a really lovely stay and I would not hesitate to recommend the Rollestone Manor. It was excellent, enough said,!! While this did not matter to us, the very steep staircase is not ideal. Best talk to Paula about how to get around it, but don't be put off - the stay will be worth it. We were after a location close to Stonehenge, with some country charm. And we absolutely found it ! Rollestone is a gorgeous and very down to earth place to stay. But don't be fooled, the food here is amazing. I simply don't know how the chef (there are two, I believe) does it. I must add the professional and yet highly engaging staff, with Paula excellent at front of house. We simply did not want to leave, and will be back. Working locally on a short term project I have spent many nights at Rollestone Manor in the past 3 weeks. What a wonderful place, the hosts Paula and Cyrille have been absolutely fantastic and have taken excellent care of myself and other colleagues throughout the 3 week project. The Manor itself is a fabulous building, the rooms are beautifully appointed with everything you could need (including a decent hairdryer). Cyrille is a fantastic chef, producing some wonderful classic French style cuisine, with deserts to die for, and just when you think it couldn't possibly get any better......then comes morning, with the BEST cooked breakfasts I have ever had in a hotel, and I travel A LOT. Bravo to the hosts, if I'm in the area again I will certainly go back. Stairs to first floor rather steep. Very welcoming after tedious Friday evening journey and arriving late. Excellent supper. Fillet steak first rate. Up to date plumbing in an old property. Clear instructions for everything in room. Excellent breakfast. 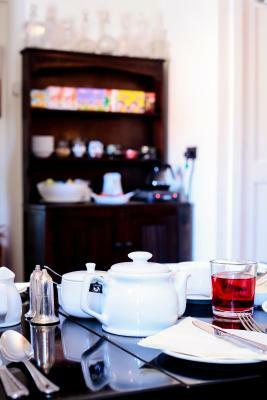 Beautiful property, wonderfully comfortable and fabulous cooked breakfast! Beautiful old Manor House, rooms were beautiful and breakfast was just brilliant! The room info pack, the staff. Such a lovely warm, welcoming environment.